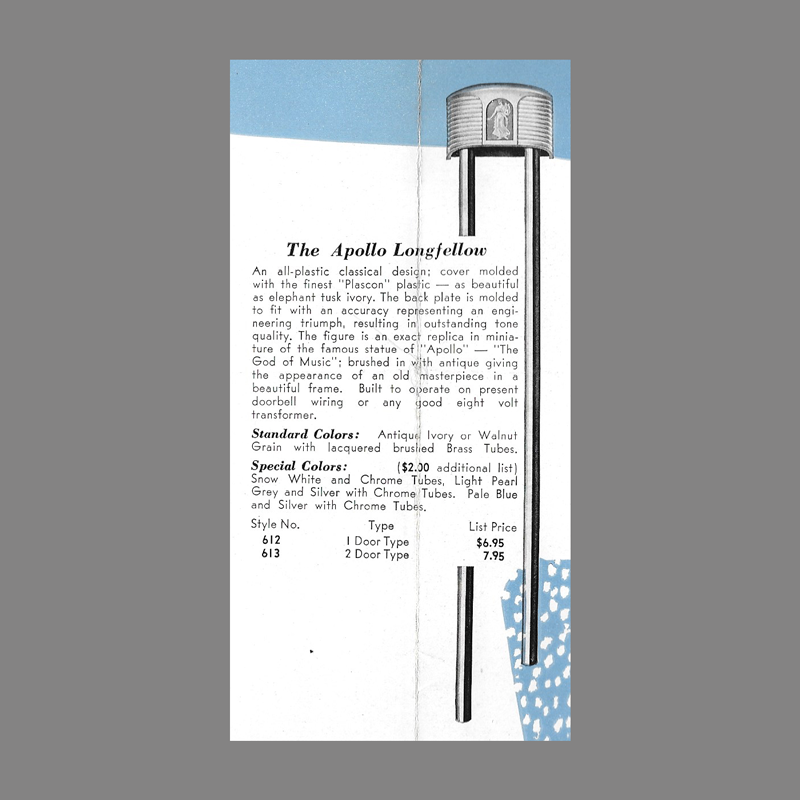 The Longfellow Apollo door chime was marketed as one of Mello-Chime’s “Modern Plastic Chimes of Tomorrow” The claim was especially prescient as soon after World War 2, plastic became the dominant material for door chime covers. The Apollo Longfellow—An all-plastic classical design cover molded with the finest “Plascon” plastic—as beautiful as elephant tusk ivory. 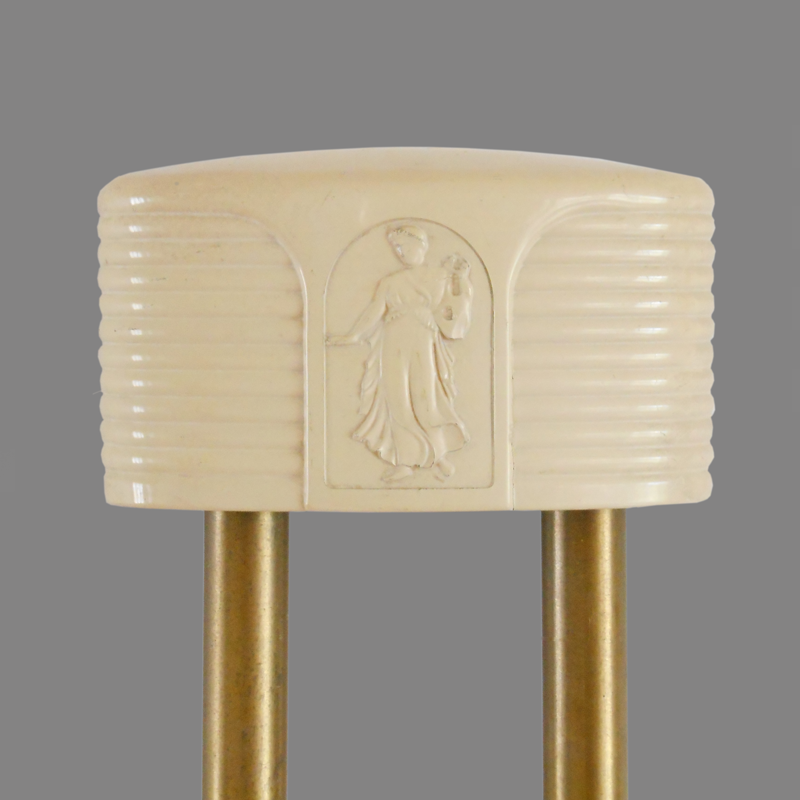 The back plate is molded to fit with an accuracy representing an engineering triumph,, resulting in outstanding tone quality. The figure is an exact replica in miniature of “Apollow—the God of Music; brushed in with antique giving the appearance of an old masterpiece in a beautiful frame. 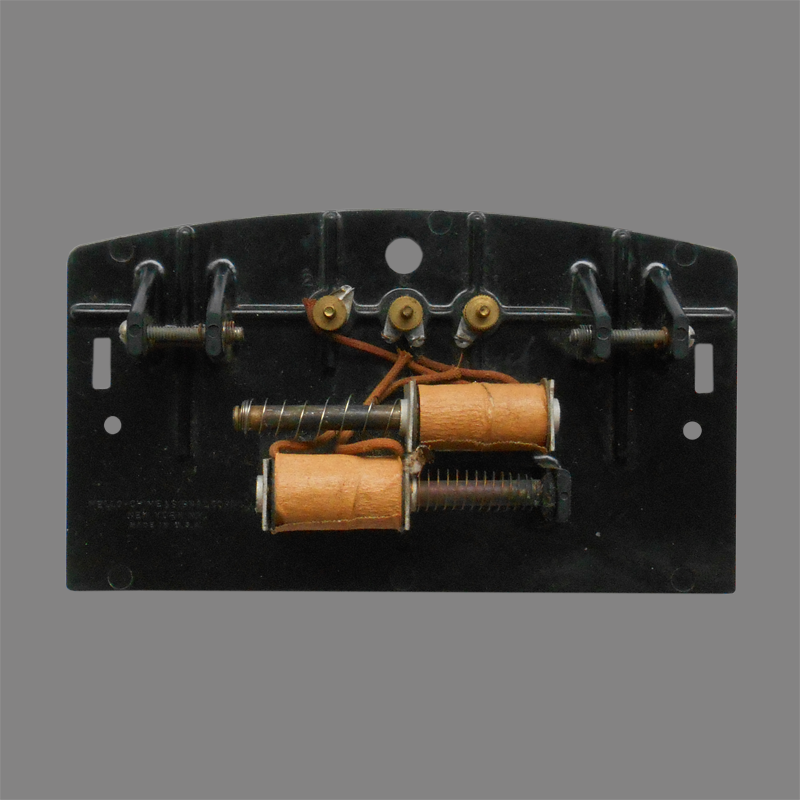 Built to operate on present doorbell wiring or any good eight-volt transformer. Standard Colors: Antique Ivory or Walnut Grain with lacquered brushed Brass Tubes. Special Colors: Snow-White and Chrome Tubes. Light Earl Gray and Silver with Chrome Tubes. Pale Blue and Silver with Chrome Tubes. MODERN PLASTIC—MELLO-CHIMES—the chimes of tomorrow. For eight years Mello-Chime has pioneered with all outstanding improvements in the chime business! 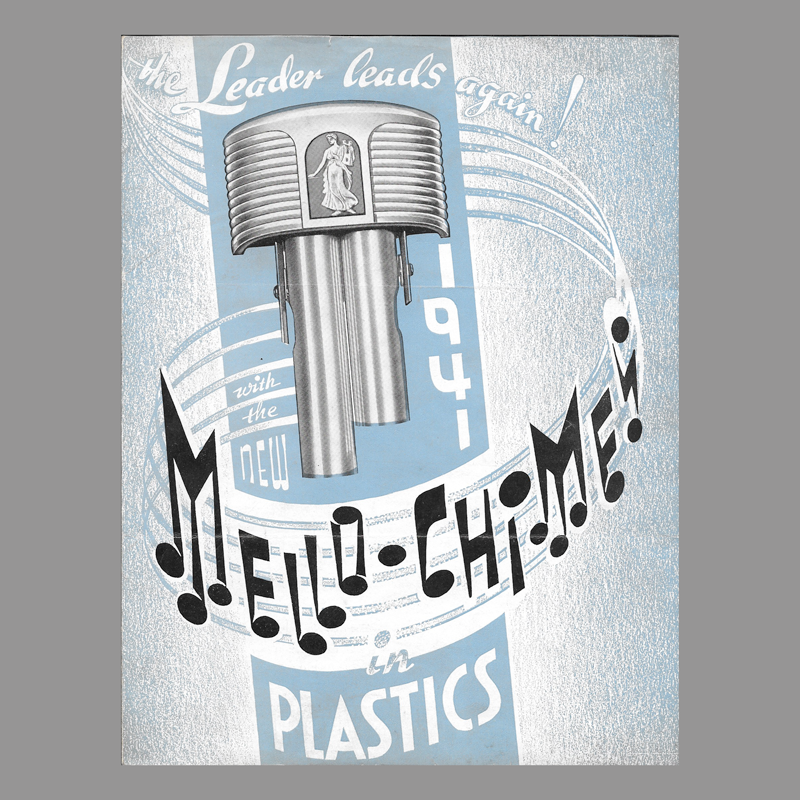 Now, Mello-Chime leads again with the first new, all plastic models (covers and back plates) designed by Gorham Company’s internationally famous art staff, combining the beauty of old-world charm with ultra-modern plastic engineering. This scientific achievement was made possible by the close collaboration of Mello-Chime with engineers with the General Electic staff of plastic engineers. Dimensions/specifications 41 inches tall, 7 1/4 inches wide, 2 3/4" inches deep.